Wagon Hill Farm was acquired by the town of Durham, NH in 1989 "to preserve its scenic vistas, provide for future municipal purposes and preserve open space in order to provide for a healthful and attractive outdoor environment for work and recreation, and to conserve land, water, forest and wildlife resources" and we're so happy that happened. This is one of New Hampshire's "hidden gems". We spent a fall afternoon with Brittany + Kevin exploring the 139 acres and found some great areas for their engagement session both in the woods and along the shores of Great Bay. 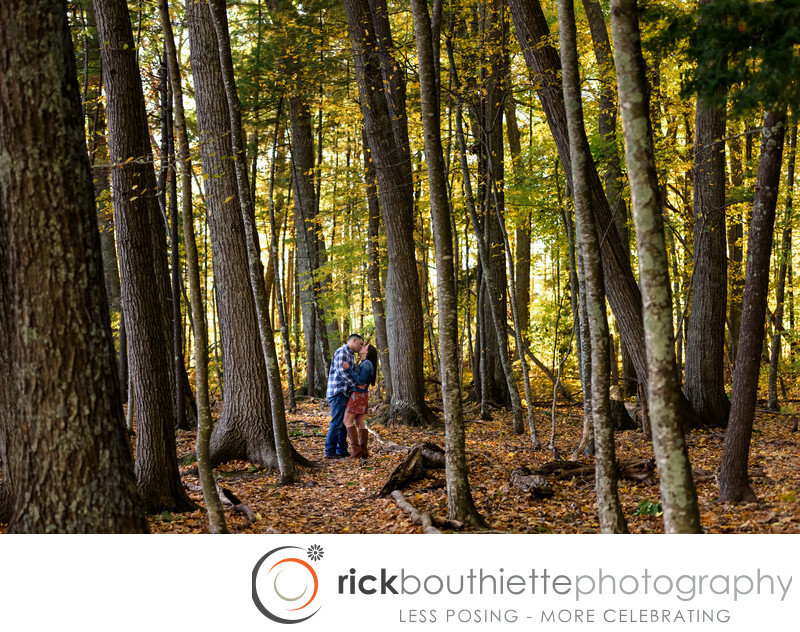 Here, they are surrounded by the bright fall colors in the forest where we captured may authentic moments between them.